« 2 weeks in photos. I spent 7 hours at the library today. This is not unusual for me lately, and continues to curb the amount of spare time I can spend sitting at my computer writing blog entries. As such, I will once again post a few photos with captions and nothing more. Jello Wrestling during Science Week at UBC in the Student Union Building. 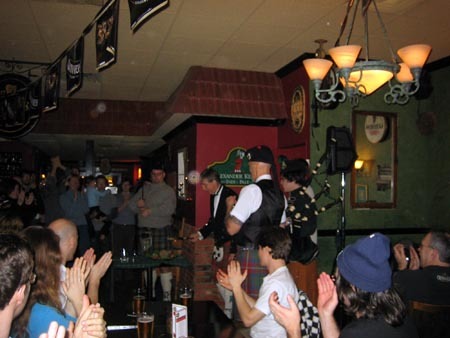 Dan ended up winning this match, and placing 2nd overall. 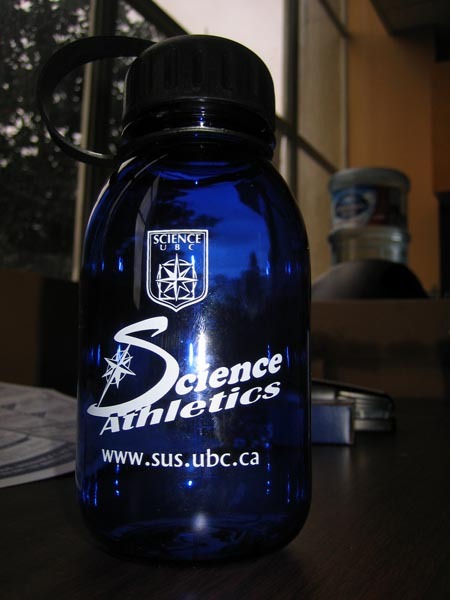 I won a water bottle with a 75 cent raffle ticket I bought. Woohoo. 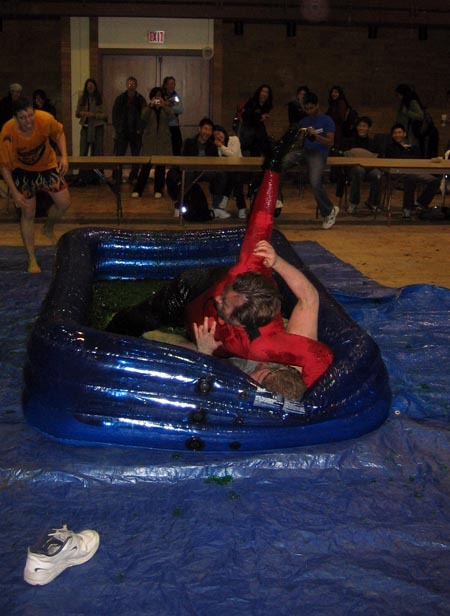 This entry was posted in Uncategorized and tagged Jello Wrestling, UBC.